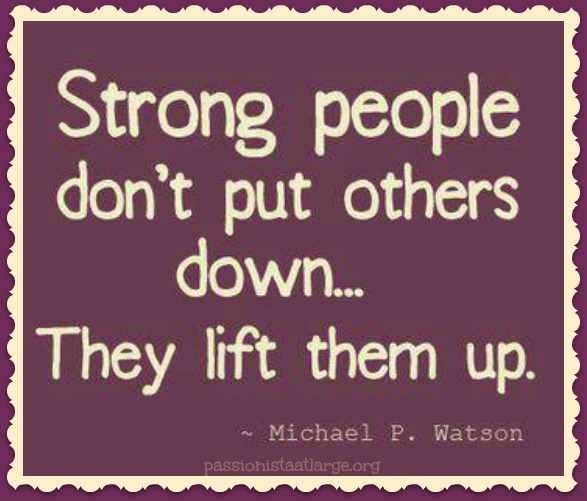 “Strong people don’t put other people down…They lift them up. This has been true in my own life! 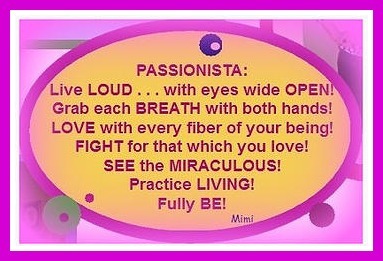 When you help others find their calling, their fulfillment, your own life blooms. Encourage others in the midst of their doubt or failings and you lift your own heart. Give to others of your resources and your life prospers. When you walk alongside someone in the midst of their difficult journey, your own journey is lighter. I highly encourage you to try this if it’s not already your nature. Burdens are lighter when divided. Walk a mile in someone’s shoes by walking beside them, lifting them along the way. Your life can only be made richer for it.